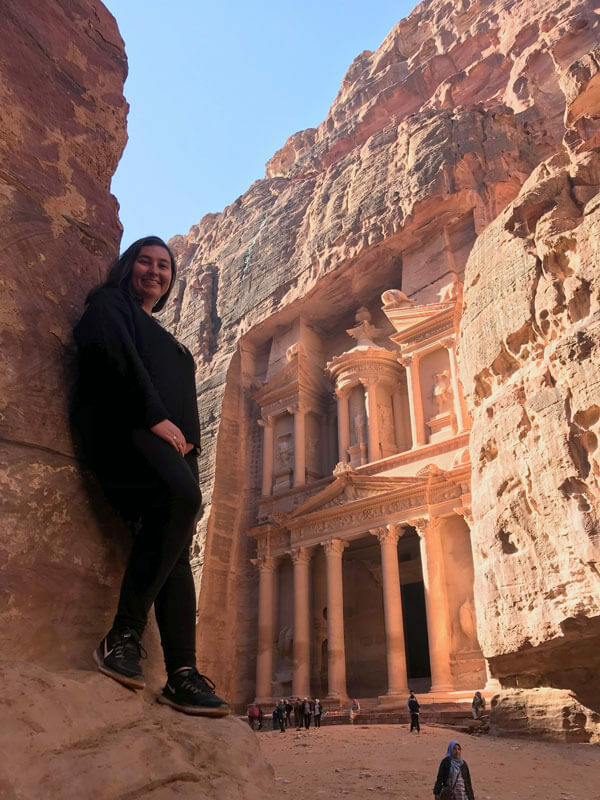 There are few things in the world as mesmerizing as Petra, which is why it has been named a UNESCO World Heritage Site, one of the 7 New Wonders of the World and easily one of the best places to visit in Jordan. 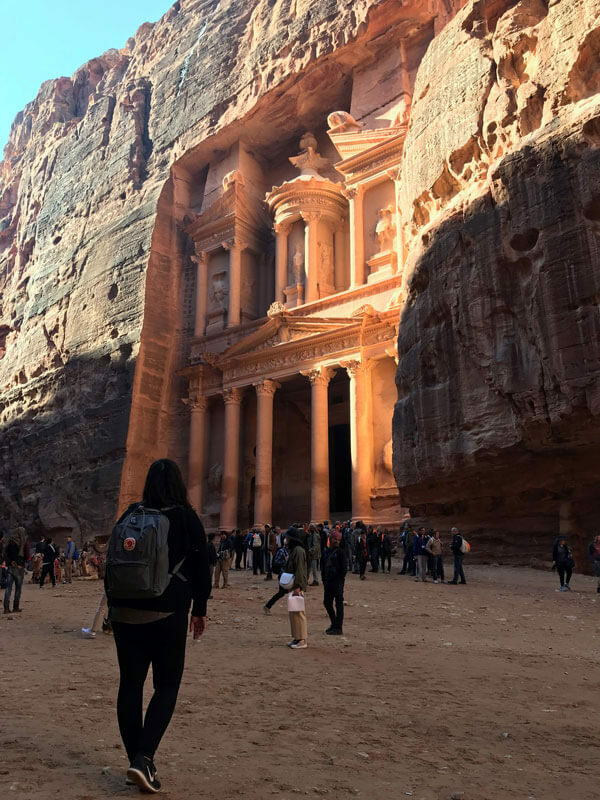 Prepare yourself for when you visit Petra because it can be truly breathtaking once you take in the views first-hand and start to grasp the history of this ancient city of Petra, the Lost City. 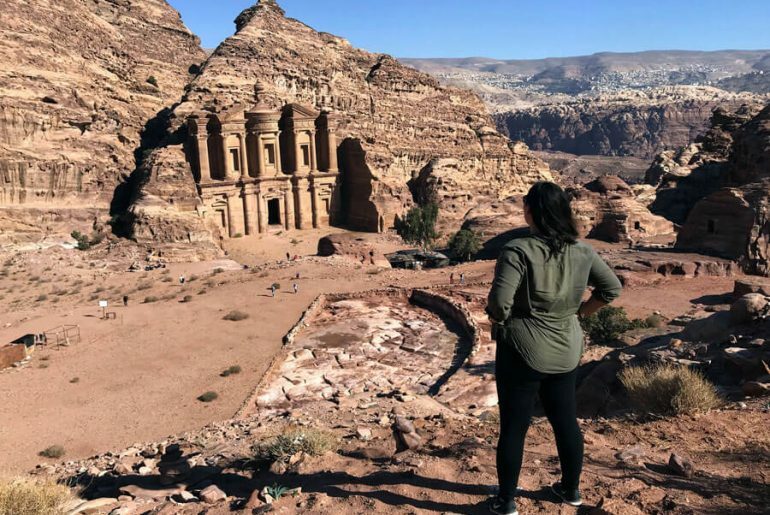 There’s a reason why the city of Petra was once a forgotten kingdom but is now on the top of many explorers bucket lists. Archeologists are still unearthing answers, digging up what they believe to be only a fraction of what this massive city once was, a civilization way beyond its years. 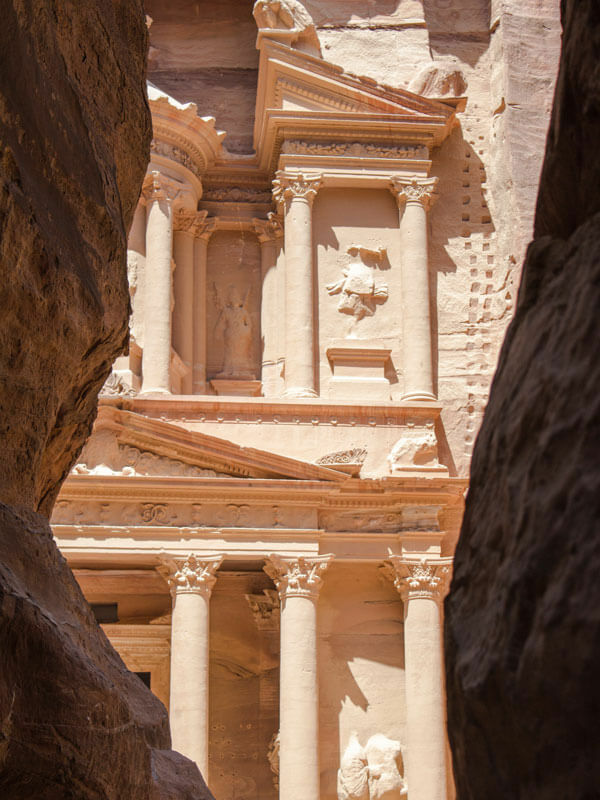 Keep reading and you’ll find everything you need to know about visiting Petra with this ultimate Petra travel guide. 4 How Long to Spend in the Lost City of Petra? 7 Should I Get a Petra Guide? I visited Petra as a part of a 3-day tour of Jordan by Abraham Tours. As always, all thoughts and opinions are my own. Petra was once the home and capital of the Nabataean empire which dates back to prehistoric times, 400 B.C until A.D 106. 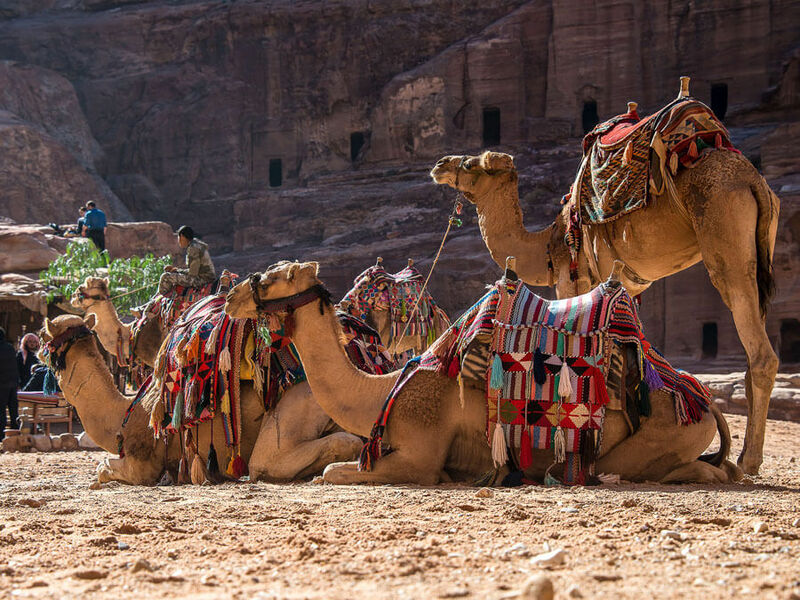 Petra was thriving and a bustling trading centre where the Nabataean people were far ahead of their time with complex water systems for transport and irrigation that is still used in the area today. Eventually, the Roman Empire expanded into now modern-day Israel, Jordan and beyond and took over Petra, building roads through the capital and adding to what was already built in Petra. 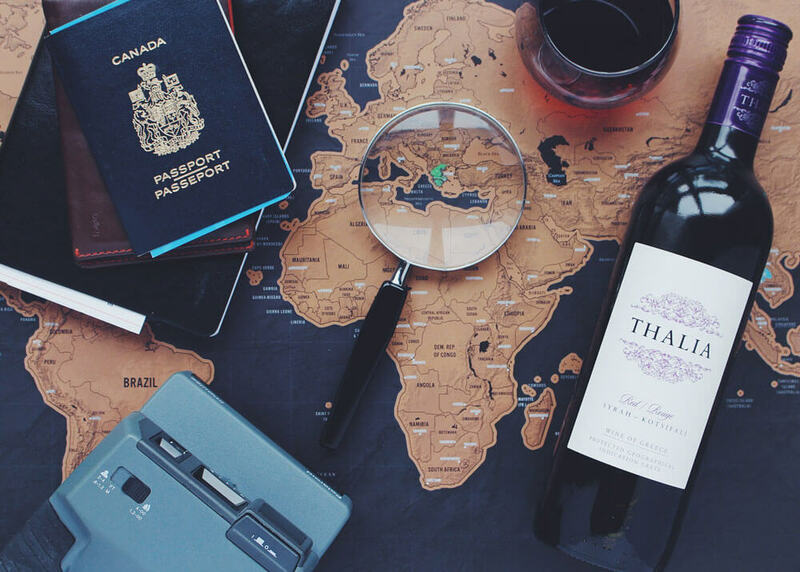 The city was left empty after some earthquakes and wasn’t rediscovered again until the 1800’s when a European traveller dressed as a member of the local Bedouin tribe so he could get in and rediscover ‘The Lost City’. 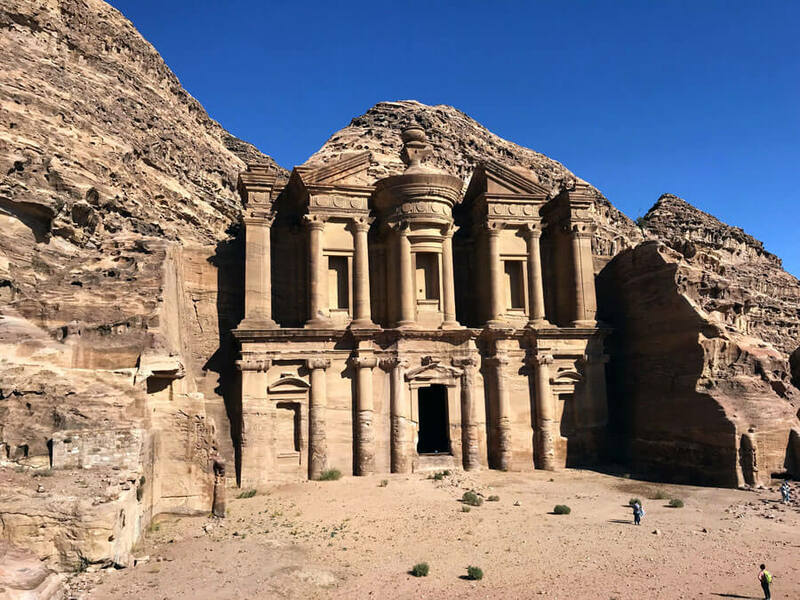 You can fly into Amman, Jordan’s capital and rent a car, taxi or take a public bus for a 3-4 hour ride down to Wadi Musa, the closest town to Petra. The drive is easy and has signs in English. A closer airport but with fewer airlines flying into it is Aqaba which is only a 1.5-hour drive away. 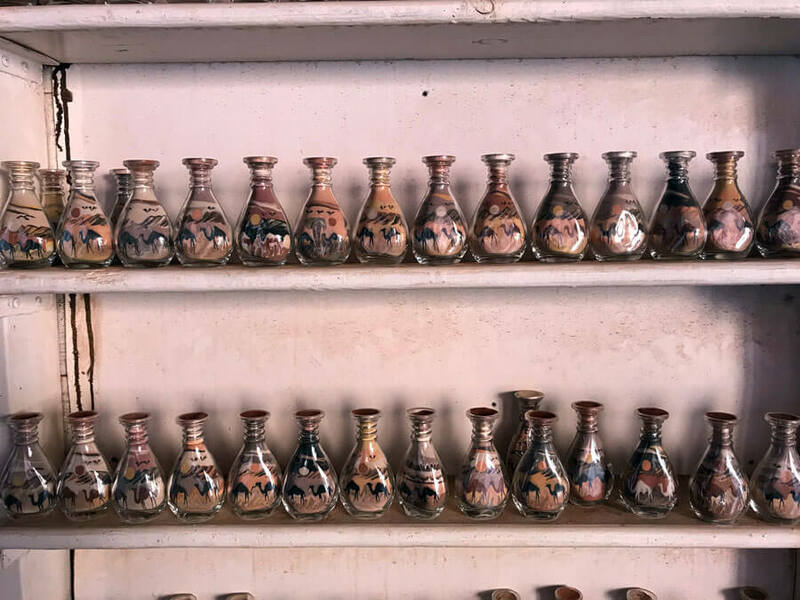 A souvenir that you can buy in Petra. 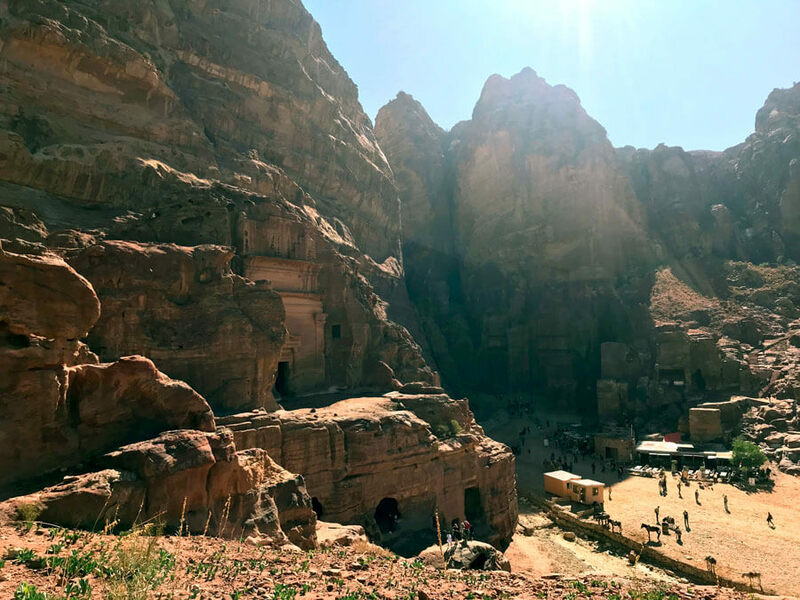 Avoid visiting Petra in the summer if you can, June-August, unless the heat doesn’t bother you, as temperatures can be as hot as 40°C (104°F) or more during the day. 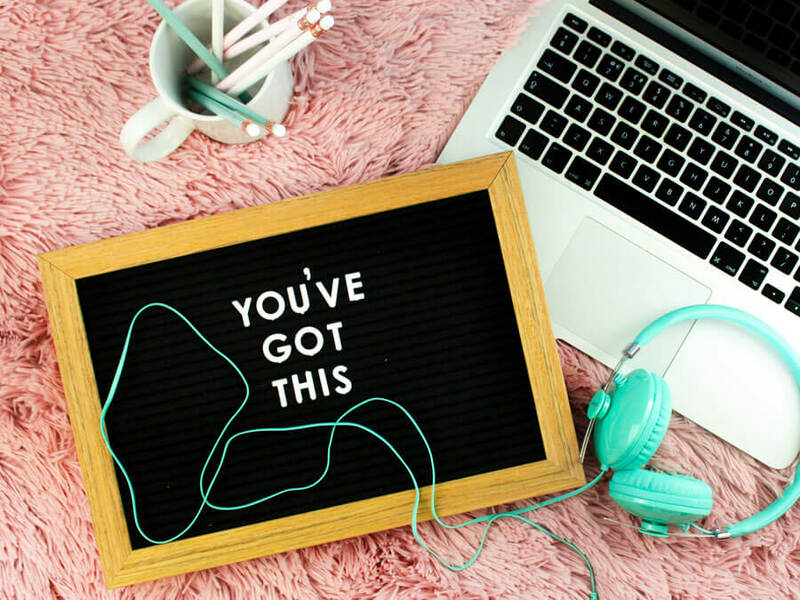 Spring (March-May) and fall (September-November) are pleasant with temperatures reaching a high of 25°C (77°F) during the day and dropping off to around 10°C (50°F) at night so bring extra layers that you can peel off during the day. 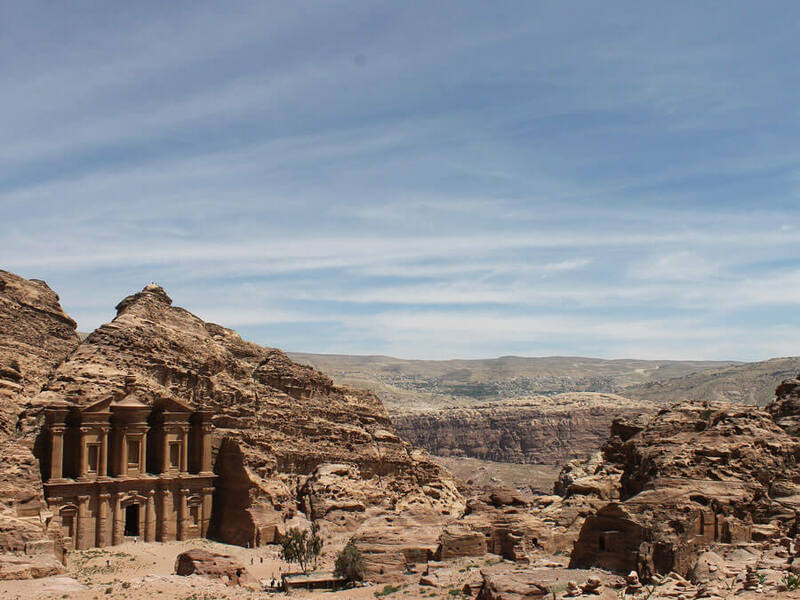 It’s best to avoid winter as well since it is the rainiest season and floodings are not uncommon for Petra. 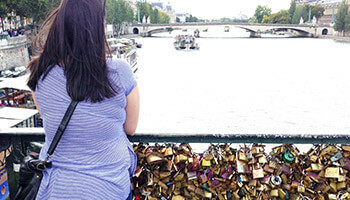 As for what time to visit during the day, the earlier you go the fewer crowds there will be. How Long to Spend in the Lost City of Petra? If you’re short on time it is definitely possible to visit Petra in one day. I had a tour guide show our group around for half of the day from the Petra entrance to the Treasury and then further to the Royal Tombs. Afterwards, he left us and on our own my friend and I hiked to the Monastery and then a bit further up for even better views and we very leisurely made our way back to the entrance with time to spare. If I was a quicker hiker (I am very slow) I could have also done the hike to the top of the Treasury or to the High Place of Sacrifice (which some people in our group did). 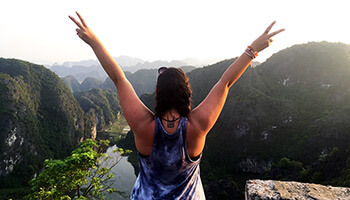 Most people will tell you that two days is perfect as it will give you time to break up some of your hiking and to check out the museums in depth without rushing. However, having done it in one day I didn’t feel as if I missed anything. Petra Jordan travel is amazing. Petra entry fee differs depending on if you are staying in Jordan overnight or not. 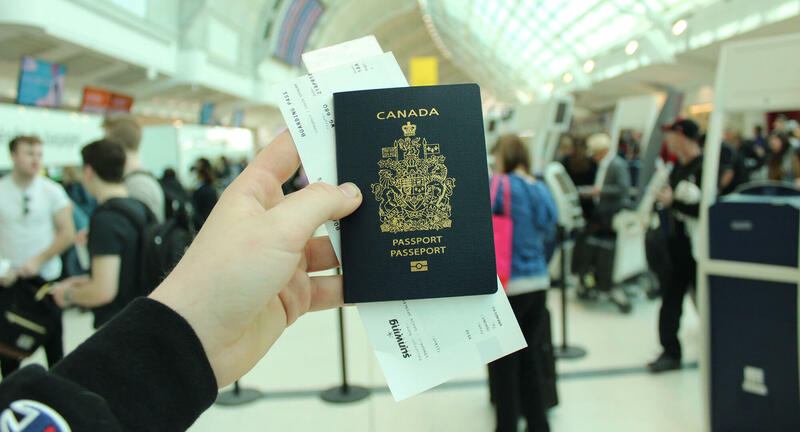 The price for those who are staying in the country for 1 day is 50 JD ($70USD), two days, 55 JD ($77USD) and 3 days 60 JD ($84USD). If you are only visiting Petra as a day trip the cost is 90 JD ($126USD). These fees do not include Petra by Night. While I do my best to keep this site up to date prices sometimes change, check up to date prices. That’s one way to get around Petra. Petra is big, remember it was a city back in ancient times, so getting around will take some time. 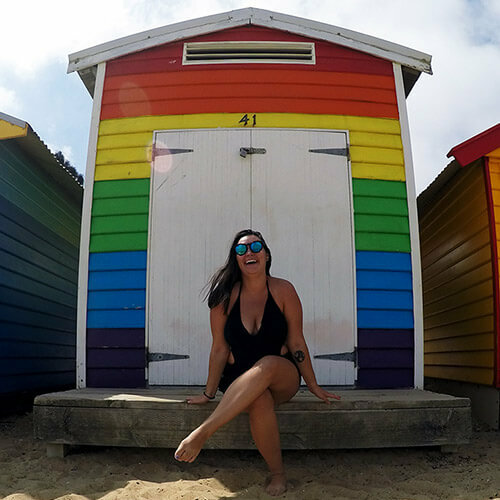 I recommend walking because it gives you the chance to see the sites at your own leisurely pace and it is possible to see the major sites in a day walking. If you have issues walking for long distances part of the way you can opt to ride a horse or jump into a buggy that’s pulled by a horse. These options are only available from the visitor’s centre to the beginning of the Siq and through the Siq to the Treasury. Once at the Treasury there are camels and donkeys/mules. The donkeys and mules will even take you up to the top of the Monastery. These aren’t cheap options and I highly recommend that you walk since we don’t know for sure how these animals are treated. Should I Get a Petra Guide? I visited Petra while I was on a three-day tour of Jordan with Abraham Tours so we had a Petra tour guide included in our trip. Our guide stayed with us for about half of the day from 7:30AM to about 12:30PM before he gave us some tips of things we could fit into our afternoon. 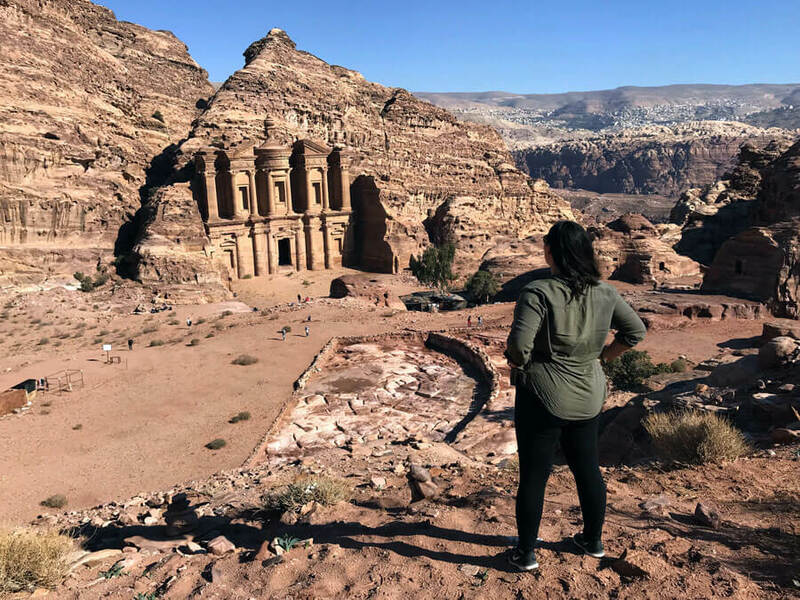 I think Petra tours are essential and I highly recommend getting a guide because there is so much to see in Petra that may go unnoticed by you without someone pointing things out. Petra is not very well signed so more times than not you will not know what you’re looking at or missing. 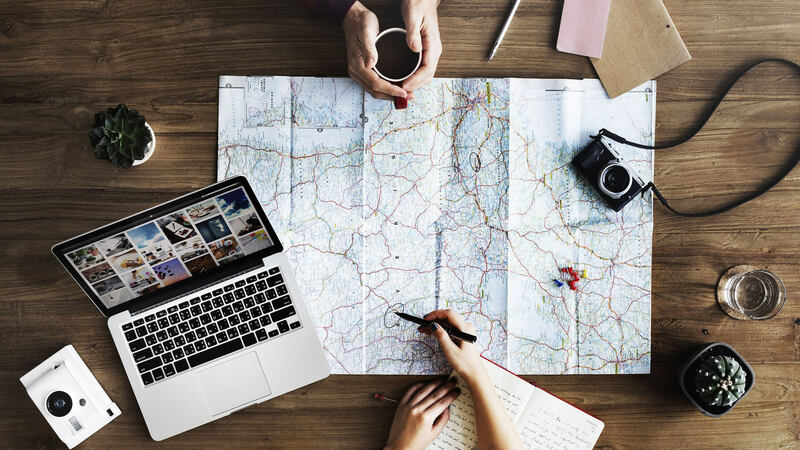 You can hire a guide for different parts of Petra or trails which will determine the price that varies from 50 to 100 JD ($70USD to $141USD). If you prefer to save cash and explore at your own pace it is totally doable to see Petra on your own. Since Petra is so touristy you’re not expected to be fully covered but it is respectful to be dressed decently. The most important thing to wear is proper shoes, especially if you plan on doing any hiking. I got away with my Nike runners but there were still slippery on the sand and stone trekking up and down to and from the Monastery. I wore leggings with a sleeveless top and a light button-down that I took off when it got too hot. A hat is an obvious choice as there isn’t much shade in Petra. I would make sure you’re covering your chest and majority of your legs and you should be fine. 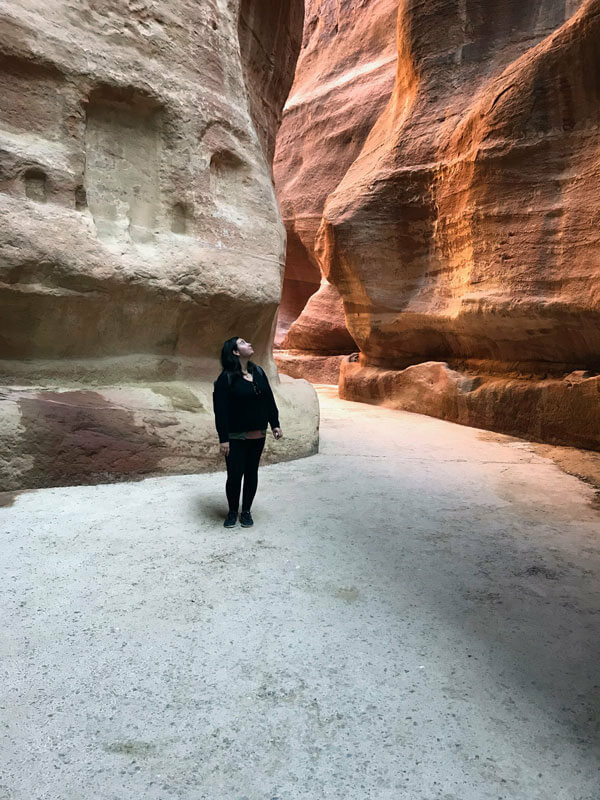 I’ve listed the things to do in Petra in order of how you will come across them when walking from the visitors centre. Visit Petra, Jordan and this will be one of your first views. The Bab As-Siq is the first thing you’ll come across before you even enter the Siq. From Arabic, it translates to ‘gateway to the Siq’. This walk will take you past some of the first stone carvings such as the Obelisk Tomb. Travel to Petra through the Siq. I honestly didn’t know much about Petra other than images of the Treasury so when we entered the Siq I was blown away by the beauty. It’s a treat to walk through the 1.2km entrance way to Petra (the Siq) as the days light comes up and changes the colour of the red stone that rises high into the sky on both sides of you. The walkway has many turns and around each corner, you expect to see the Treasury, which of course, you eventually do. All trips to Petra include seeing the Treasury, duh. The Treasury (Al-Khazneh) doesn’t disappoint, as it’s revealed through the narrow crack in the rock that opens up to reveal its full glory. Once here you’re officially inside Petra. The Treasury was thought to have housed treasure but in fact it’s actually a tomb that was carved into the soft stone. I highly recommend getting to the Treasury early a) before the crowds and b) to see it as the morning light moves down to reveal the entire facade. It’s the best-kept part of Petra due to its location, the surrounding rock walls protecting it from weather and erosion. See the view of Petra, Jordan inside. After the Treasury the walkway opens up to a much larger area that has more tombs and homes on either side, this is the Street of Facades. These buildings are too carved into the sandstone and were made 2000 years ago. 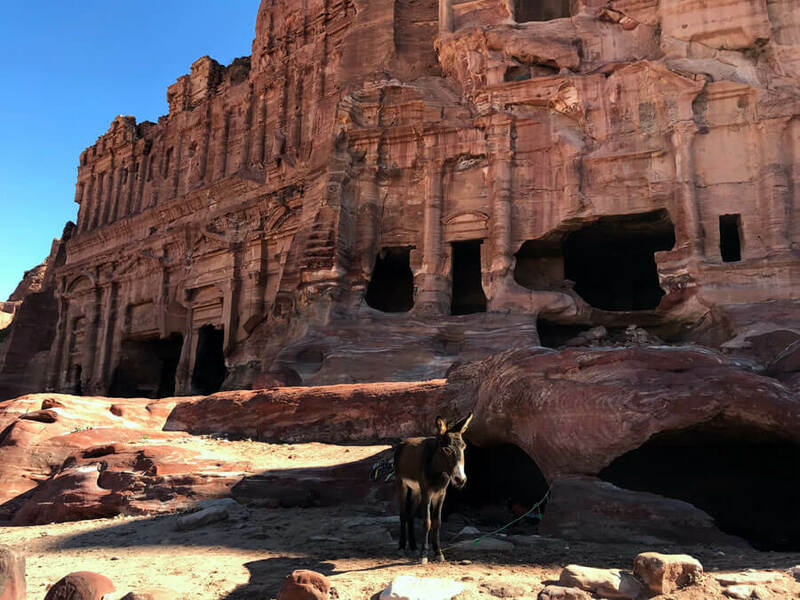 A donkey waiting outside the Royal Tombs. Next, high up on a hill are the Royal Tombs, which you can enter. There are stairs built for you to walk up or if you have a guide they may take you a more fun way up which requires some moderate but doable climbing. The Urn Tomb is the most well known. It has an inscription in it that proves that the tomb was converted into a church. 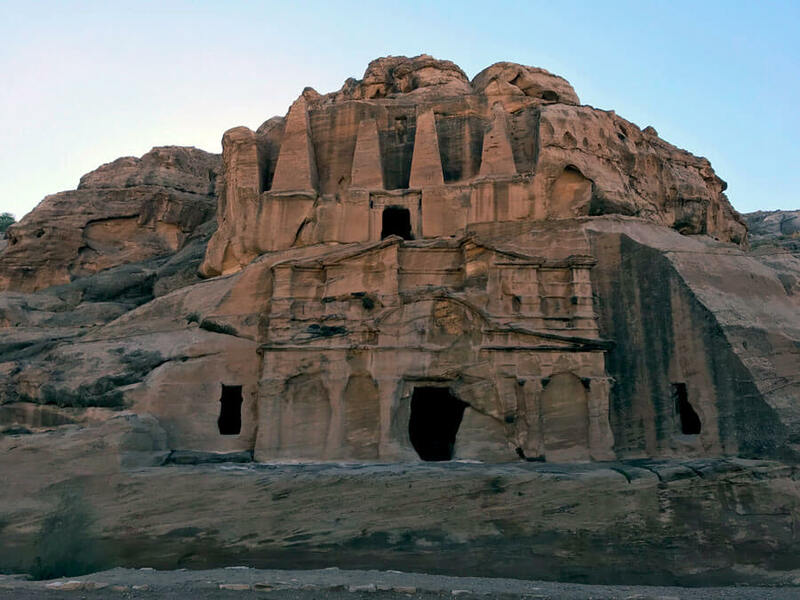 There are multiple other tombs each beside one another that were tombs built for Nabataean royalty. Here is where it becomes obvious that the Romans were in Petra. Colonnaded Street is still obvious, a tribute to how well Roman built things, and some columns still line the street. The street runs down the centre of Petra and on either side you can find archeological sites and more sites that have been revealed to the public. 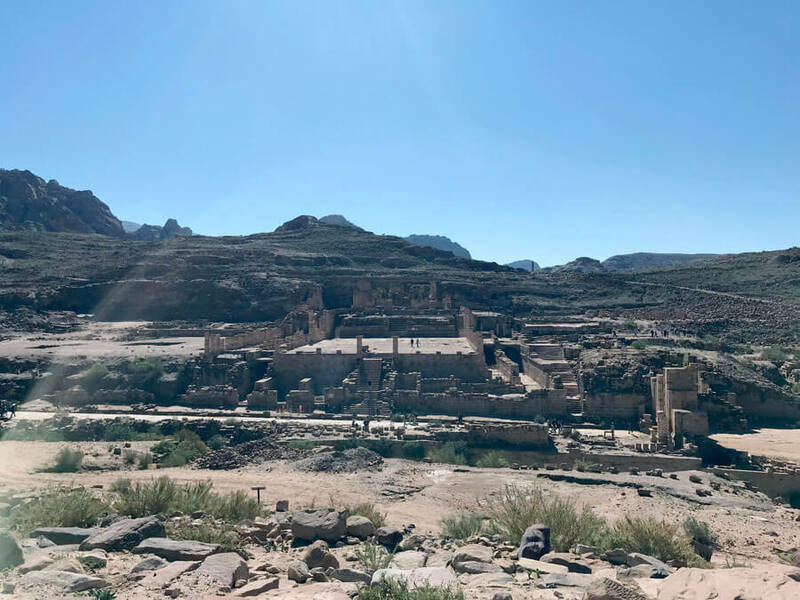 The Great Temple is the largest free-standing building in Petra, built in 100 BC but it’s unsure whether or not it was actually a temple or a place of government for the Nabatean people. I highly recommend fitting in the Monastery even on a day trip to Petra. My personal favourite place in Petra is the Monastery (Al-Deir) that I believe is totally worth the hike up for. The hike will take a minimum of 20 minutes (for those who are fast) but can take upwards of 45 minutes if you’re taking your time like me. It is a mostly uphill climb with stairs, lots of people and mules running at full speed towards you. Don’t be turned off. After the 800 steps you’ll be rewarded with views that are as great as the Treasury. Once at the top you can go even higher to the best view in the world as multiple signs will tell you for a truly over the top view. 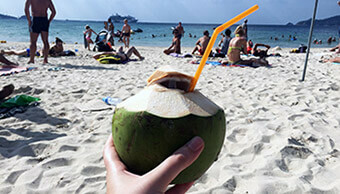 There are lots of stalls selling souvenirs and drinks on the way up so no need to panic if you run out of water. There is also a restaurant at the top with a view of the Monastery if you need to take a break before heading back down. The high place of Sacrifice is possible to do on your way back after the Monastery. There are stairs carved into the stones surface up a mountain so more climbing is obviously required. The view from the top is supposed to be amazing and one of the best in Petra with an entirely different vantage point. The area at the top is believed to have been a spot for religious ceremonies or honouring the Gods. I’m disappointed I didn’t get to see Petra by Night as it looked beautiful but it only adds to what a magical day that it already was. Every Monday, Wednesday and Thursday the Treasury is lit up by 1,500 candles for a simple light show that casts a beautiful light on the Treasury. Tickets are 17 JD ($24USD) or free for kids under 10. 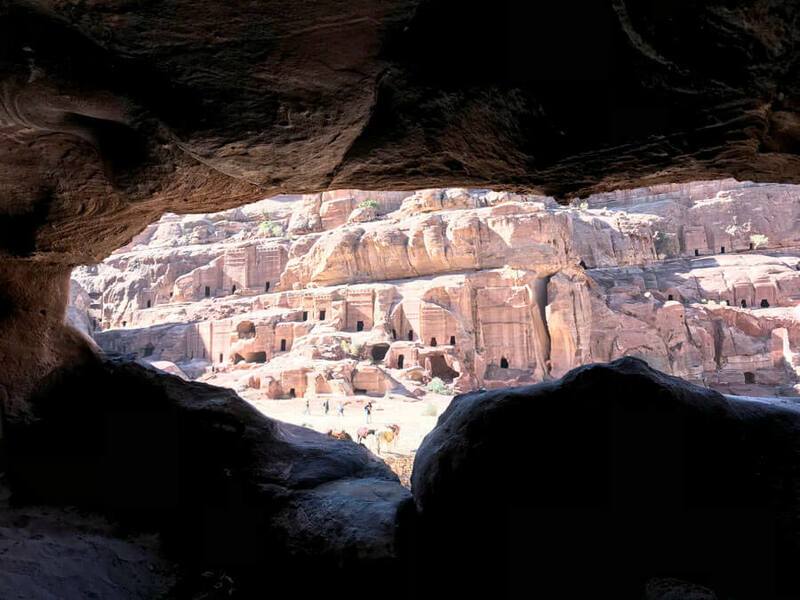 The closest place to stay to Petra is Wadi Musa which is where the Petra visitor centre is located. Petra hotels book up really fast so be sure to book early. 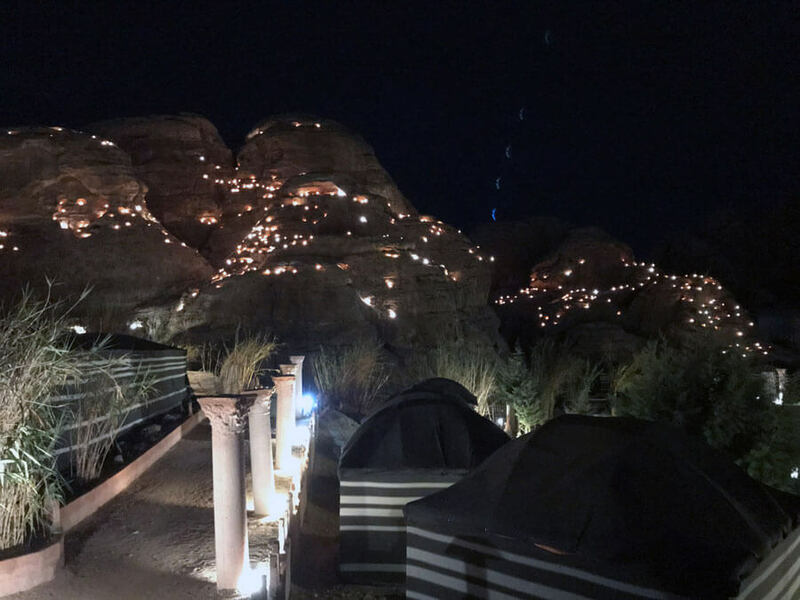 I personally stayed about a 20-minutes drive from Petra (closer to Little Petra) at a Bedouin Camp which was beautiful and had the sweetest and most delicious tea I have ever tasted. You will need a car to get between this camp and Petra.